Radiograph of a distal tibia. Fractures of the lower end of the tibia are very challenging to treat. 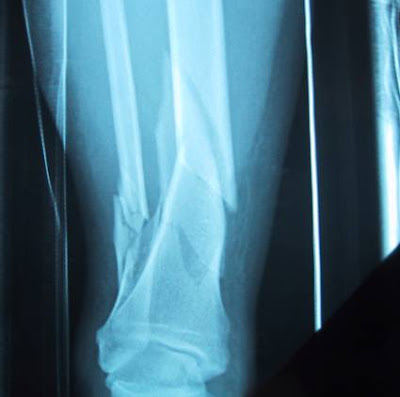 They comprise of 7.2 per cent of all tibia fractures. Its is mainly due to high energy trauma. The main problems associated with the treatment are its close proximity to the plafond (ankle joint) and the thin soft tissue envelop surrounding the bone. 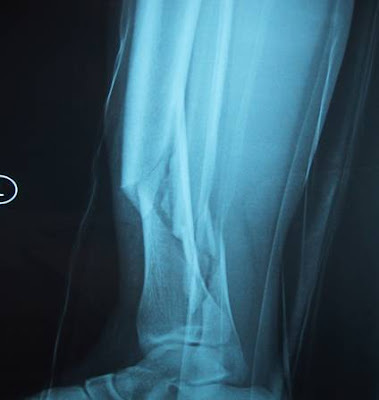 Insertion of fracture plates can be performed in various places in the body but we will just focus on the region of the foot and ankle for this matter.